We provide both carpet repair and re-stretching services in Winston-Salem. Before you give up on your carpet, give us a call! At Steam Source, we are proud to offer you carpet repair services. We have been working with carpets since 2001, and with fourteen years of carpet experience, it is our goal to make sure your Winston-Salem, North Carolina home looks as best as possible. If you’ve been thinking about getting your carpets cleaned but are worried about that seam that’s been torn or a tear in your carpet, don’t stress any more about it. 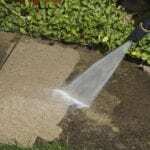 We will come out and repair any of those problem areas you are having. We provide both carpet repair and re-stretching services. Removing ripples and stretching your carpets will not reverse damage or excessive wear caused by improper installation, but it does work wonderfully at preventing further unnecessary damage and wear. For the best and deepest clean, we recommend that your carpet be stretched before cleaning. 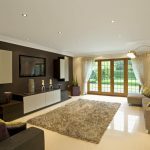 We offer a variety of carpet repair services and every one of our cleaning specialists is specially trained to give your carpet the best care and repair. 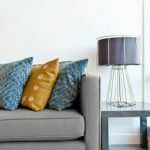 Whether you’ve dropped gum, spilt a candle, or even torn and stretched the carpet while pushing a heavy piece of furniture, we can and will repair it! At Steam Source, we stand ready to assist you. We can address any and all issues you may have with your carpets, from wax spills to bleach spots to cigarette burns! Give us a call today, and let one of our highly trained specialists come and give you a free carpet repair estimate! 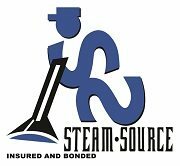 At Steam Source, we offer carpet repair services in Winston-Salem, Greensboro, Kernersville, Clemmons, Advance, High Point, Mocksville, Pfafftown, Jamestown, Oak Ridge, Summerfield, Lexington, King, Walkertown, Colfax, Lewisville, Welcome, Bermuda Run, Thomasville, Yadkinville, and Walnut Cove, North Carolina.